The Redcore suits buyers looking to augment their IEM with vocal presence and clarity, enhanced detail and higher resolution. Though Hansound may be a new brand relative to veterans in the custom cable field, their team is not to be considered inexperienced. In a similar vein, their designs are nothing less than leading manufacturers. The Redcore represents one of their latest efforts; a Music Sanctuary exclusive that features double insulation and a combination of OCC copper and OCC silver conductions all wrapped inside a gorgeous scarlet jacket. With a $650 SGD asking price (~$500 USD), the Redcore occupies a fairly premium position within the market and Hansound’s own cable lineup. It should also be noted that though the cable is easily one of sturdiest I’ve handled, the inclusion of a 6-month manufacturer warranty inspires additional confidence. You can read more about the Redcore and purchase one for yourself here. I would like to thank Calvin from Music Sanctuary very much for his quick communication and for providing me with the Redcore for the purpose of review. All words are my own and there is no monetary incentive for a positive review. Despite receiving the cable free of cost, I will attempt to be as objective as possible in my evaluation. It takes a lot to stand out within a market of jewellery-like lustre though the Redcore has quickly established itself through its distinct and visually arresting design. A lot of its intrigue is derived from its rich scarlet colour scheme, custom-ordered Hansound connectors and handwoven fabric sheath that all culminate to produce a striking aesthetic that compliments a surprisingly wide range of IEMs. This is a Music Sanctuary exclusive model that can be tailored for the buyer through their online drop menu customizer. The cable demonstrates a high level of finish and a very professional construction with uniform braid and weave along its entirety. It remains continuous through Hansound’s signature aluminium y-split and terminates with a well-relieved rhodium plated Futrutech 3.5mm plug (customizable). This brings me to my only gripe with the cable, which is the loose chin slider. It doesn’t affect function too much and holds its place when under tension, though it can irk during daily use. The Redcore is one of the thicker cables on the market, with a similar gauge to Effect Audio’s plus series cables. Despite this, Hansound’s use of a looser weave and supple cloth jacket make it surprisingly compliant, lacking any kind of memory with minimal stiffness. Microphonic noise is also kept to a minimum and though the cable has no ear guides, it routes comfortably over the ear, retaining a stable fit. This also enables the Redcore to be used with cable down earphones or those with reverse polarity 2-pin connectors. The Redcore carries a brighter signature with a slightly fuller, warmer low-end to compensate. Much of this stems from its accentuated centre and upper-midrange that both prevent vocals from becoming lost in the mix while enhancing clarity. As the Redcore’s treble pursues a more neutral, even slightly smoother presentation, it’s naturally voiced with a very composed background. I don’t claim any changes, but the cable has undergone over 150hrs of burn-in to ensure optimal performance. The Redcore doesn’t have a huge impact on bass signature but does clearly alter its qualities. Most notable is its swift transience set to impressive control, demonstrating an immediate improvement in bass speed. Bass notes sound more focused with quicker decay and, by correlation, greater separation. Bass definition is improved and lows sound more articulate with improved dynamics, a by-product of the Redcore’s greater control. Tonally, the cable is fairly transparent with only light mid-bass emphasis imbuing a hint of additional warmth and fullness. Bass isn’t enhanced nearly to the extent of bloat or congestion; in fact, the Redcore has quite the opposite effect due to its quicker decay. The most polarising aspect of the Redcore will likely be its sub-bass presentation that assumes a slightly laid-back position relative to most stock copper cables. Extension is actually slightly improved and rumble is more defined, but bass slam is reduced in most instances. This is topped with a slight upper-bass emphasis that retains body and aids the retention of natural midrange voicing and tone despite additional brightness. Vocals are the Redcore’s speciality, both in terms of presence and quality. The cable is characterised by its forward upper midrange that serves to improve clarity, instigating an expression that’s more revealing over organic. Accordingly, the Redcore immediately compliments darker IEMs such as Empire Ear’s Phantom. On the contrary, I didn’t find it to overstep any boundaries when paired with the brighter Noble Katana that represents a more typical IEM/Diffuse field neutral. This mostly comes down to the nature of the Redcore’s vocal forwardness which stems equally from its elevated centre midrange. In conjunction with a fairly untouched lower-midrange and warmer bass, both male and female vocals are brought forward while retaining accurate body on a whole. The Redcore therefore provides a large increase in midrange clarity while avoiding harshness and over-articulation. It isn’t a cable that prioritises timbre like PWAudio’s copper units, but it does sound immediately more natural than most bright cables while offering the same sense of clarity. Furthermore, the cable presents through very high resolution set to an especially clean background. So though it is very clear, the Redcore is in no way lean or unengaging, but composed, nuanced and revealing. Highs are strikingly balanced and extended, which is especially surprising considering that most silver cables tend to have some form of treble emphasis. This contributes to the Redcore’s natural midrange, keeping sibilance and articulation in check while maintaining plenty of crispness and clarity. In turn, the Redcore cannot be considered smooth as its lower treble is neutral while demonstrating strict control; it simply has appropriate crispness and accurate detail presence. In combination with the cable’s elevated upper-midrange, instruments are nicely bodied and clear. Highs also avoid becoming brittle or thin which greatly enhances its retrieval of finer details. Middle treble also remains fairly neutral, with a hair of emphasis supplementing its presentation with a little more air while avoiding excessive brightening of its background. I would actually consider the Redcore to sound cleaner than neutral as its high-end is so even, relying on its technical resolving power over superficial clarity. Accordingly, treble instruments are reproduced with realistic timbre, decay and shimmer, and the Redcore is very detailed. Extension is also superb, a highlight of the Redcore, accentuated by greater final octave energy and sparkle. The cable, therefore, achieves great resolution and enhanced staging properties (expansion, layering and separation), presenting an intricate reconstruction in a refined manner. The Redcore compliments the attached IEM with great lateral expansion, a trait achieved through its excellent extension and air. 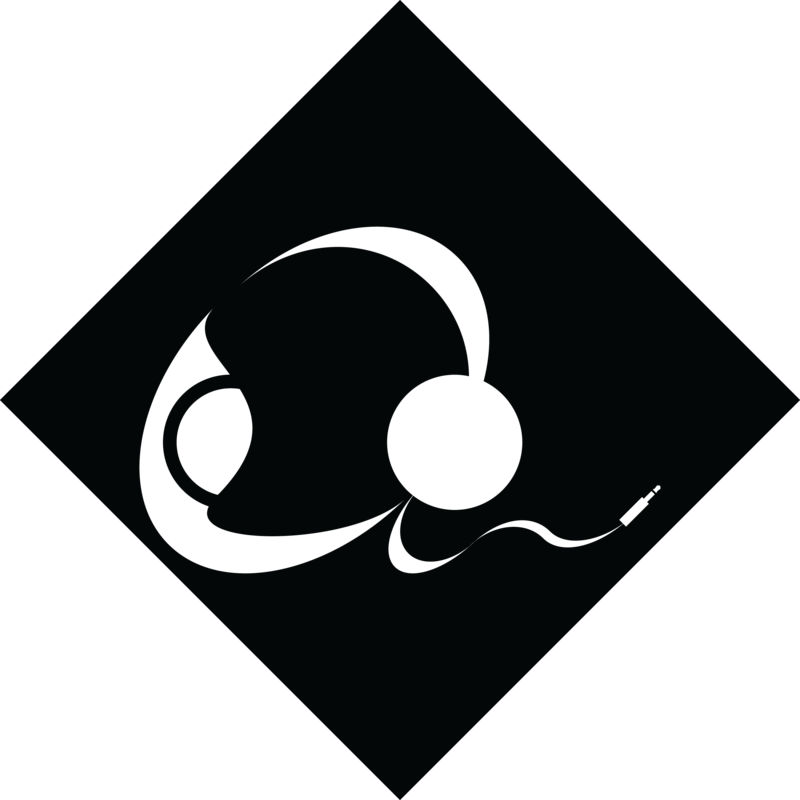 As vocals are brought forward, depth can appear to be reduced, though the Redcore doesn’t present as explicitly intimate or claustrophobic and this quality tends to vary between tracks. On the contrary, I have no complaints about the Redcore’s imaging, with excellent layering, accurate instrument placement and enhanced directional cues on behalf of its agile note decay. The Redcore lacks the exaggerated sense of separation offered by brighter cables on account of its balanced treble and naturally bodied presentation. Its stage is spacious, but its image is densely populated with detail and texture, qualities that thinner sounding cables lack. In return, the Redcore doesn’t sound as immediately delineated though it always upholds a very clean and composed presentation that enables the listener to pick out the finer details. Empire Ears Phantom ($1800): Improved sub-bass extension, more physical but slightly pulled back. Fuller bass, but also faster and more controlled, retains pleasing separation while improving definition. Slightly denser midrange with greater vocal presence and improved clarity. Treble is slightly less crisp but airier with more detail. Improved extension with higher resolution throughout. More composed soundstage, greater width. Cleaner background. Noble Katana ($1850): Reduced sub-bass kick. Fuller, more naturally bodied bass notes. Greater texture with large increase in speed. Appreciably improved bass definition. Vocals are brought forward with slightly greater body, a touch bright within the upper-midrange. Immense midrange clarity without over-articulation, raspiness and loss of body. Greater treble detail, less peaky. Retained air, slightly improved extension and sparkle. Larger soundstage in all axis, more layered presentation with greater resolution. Noble Django ($999): Greater overall balance. Enhanced sub-bass extension and kick. Increased mid-bass impact with a large increase in bass control, definition and articulation. Noticeably more forward midrange, brighter tilt. Increased clarity, slightly more vocal body. Treble is slightly crisper and more detailed. Greater micro-detail retrieval, higher final octave energy. Extension is improved, considerably increased resolution. Larger soundstage, a lot more layered. Separation is slightly improved, especially within its midrange. Cleartune VS-4 ($600): Fairly significant jump in sub-bass extension and slam. Slightly fuller mid-bass with increased impact. More articulate bass. The VS-4 is quite dark stock so by bringing up the upper-midrange it sounds considerably more balanced. Vocals sound clearer and more natural with greater body. Treble is smoother and more bodied with greater detail. Extension is slightly improved, delivering higher resolution. Soundstage is slightly improved, though extension and soundstage seem more limited by the IEM itself. At the very least, layering and separation are much improved. 64Audio U3 ($500): Greatly improved sub-bass extension and slam. Enhanced mid-bass impact and control, greater definition throughout. Slightly more lower-midrange body, more natural vocals. Vocals are also brought forward and clarity throughout is improved. Slightly less peaky treble, more refined with greater instrument body and detail retrieval. Slightly improved extension, higher resolution. Cleaner, more composed background. Enlarged soundstage in all axis. Greatly improved layering and separation, especially bass. Jomo Haka ($400): Greater overall balance, more neutral tone. Sub-bass extension is improved but sub-bass quantity is reduced. Mid-bass becomes a lot cleaner and more defined due to increased speed and articulation. Brighter midrange, clearer vocals with less veil. Not as warm, vocals are brought to the fore. Greater detail presence, greater detail retrieval. Slightly enhanced air and extension. Larger soundstage, especially depth. A lot more layered and separated due to more natural note size. Noble Gold X Silver ($300): The Redcore has a more balanced overall sound, its treble is more composed, its midrange more natural and bass more robust. The Hansound cable has much better bass extension and its speed enables greater separation. It’s noticeably fuller within its mid-bass, where the Gold X Silver is more high-frequency focussed. The Redcore has more forward vocals but they also have more natural body. The Gold X Silver is rather slightly laid-back with a more neutral upper-midrange, sounding slightly smoother but also not as clear. Treble is notably boosted on the Gold X Silver, making it sound quite aggressive but also very detailed. In actuality, the Redcore retrieves more detail, especially finer micro-detail by a fair margin, but the Noble cable’s more forward lower-treble brings intricacies more to the fore. Both extend very well, the Redcore has a little more resolution and a much cleaner, more composed background at the cost of the energy and sparkle of the Gold X Silver. The Redcore has a large advantage when it comes to separation due to its greater overall balance. The Gold X Silver is slightly less expansive, its midrange is slightly more layered and imaging is strong. That said, overall the Redcore’s presentation is more accurate and controlled, it has stronger technical ability. Plussound EXO Tri-Copper ($600): The Tri-Copper is more articulate at the cost of body, carrying a more typical hi-fi signature. The Redcore has less sub-bass kick, but extends just as far. The Tri-Copper has the cleaner mid-bass presentation with more neutrally sized notes. However, as the Redcore is a little faster, both are similarly defined overall. The Redcore has more upper-bass, leading into a more accurately bodied midrange. The Tri-Copper is slightly less vocal forward and its lower-midrange is slightly laid-back by comparison. Both are very clear, the Tri-Copper to a lesser extent, though one could posit it is more neutral as a result. The Plussound cable is more even through its midrange, but its treble is more emphasized putting greater emphasis on articulation. Its high end is more aggressively detailed with the Redcore sounding relatively smoother, despite being more mid-forward. Moreover, as the Redcore is more linear between its midrange/treble transition, treble instruments have more realistic instrument body and detail retrieval is slightly higher. Both extend very well, the Redcore slightly more so producing a nudge of additional resolution. In terms of soundstage, the Tri-Copper has a more rounded presentation where the Redcore is more width-biased. Both have similar overall expansion though the Tri-Copper has a slight edge when it comes to imaging due to its more even midrange. The more neutrally bodied Tri-Copper also has more obvious separation though the Redcore is appreciably more controlled, it sounds more composed due to its cleaner background and greater resolution. The Redcore may be priced in a very competitive segment, though it is no less distinct than other models from more established manufacturers. Hansound ultimately rewards the buyer with a striking cable with an insightful sound to match. Its scarlet jacket is mesmerising and Hansound demonstrate great skill through their professional build quality and uniform finish. Sonically, the Redcore presents with great refinement and technical ability if not absolute transparency so synergy remains just as important as usual. Chiefly, by combining an emphasized upper-midrange with a more neutral treble, Hansound achieves a sound that is simultaneously clear and composed. Despite its brightness, the Redcore remains well-bodied, retaining natural voicing and a coherent overall presentation. It can sound over-bright on certain earphones, though its smooth treble does prevent contamination of the background. The Redcore, therefore, suits buyers looking to augment their current IEM with greater vocal presence and clarity, enhanced detail and higher resolution. The Redcore can be purchased from Music Sanctuary for $650 SGD. I am not affiliated with Music Sanctuary and receive no earnings from purchases through this link.